It is no secret that Richard Donner, director of Superman: The Movie, was fired before completing Superman II despite the fact that Donner had been working on both films simultaneously. The released version of Superman II was completed by Richard Lester, and Donner was left with only bitter memories of working with Alexander and Ilya Salkind...and the honor of having made the greatest comic book-based film in history. However, with the passage of time Donner was given a rare opportunity: to reconstruct Superman II to as close to what he envisioned as possible. He did not have the benefit of retakes or gathering his actors for new scenes, so Superman II: The Richard Donner Cut may not be EXACTLY what he would have wanted. Still, we now have a chance to see how things might have worked out if Donner rather than Lester had been at the helm. 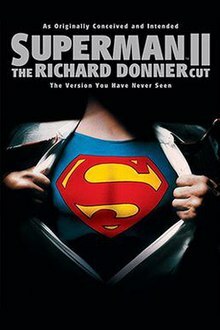 After watching Superman II: The Donner Version, one wonders how the opportunity to make a film as good as the original could and almost was completely lost. This Superman II is a brighter, smarter, sharper version of what was given us in 1980, one that kept true to the original. It is not without some problems, but whether the problems were because Donner simply didn't have the footage and had to use the Lester scenes or not I cannot answer. The film acknowledges as much by starting with titles that read, "The following film represents Superman II as it was originally conceived and intended to be filmed. Some footage was taken from screen tests of scenes we were unable to shoot." 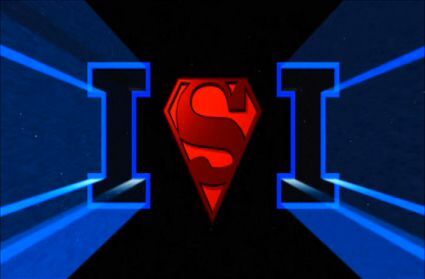 In terms of story, Superman II: The Donner Version (or as I call it, SII2) is a whole new version with different scenarios that do lead us to the same conclusion, but for all intents and purposes SII2 is a new film altogether. After the title cards we get bits of the original Superman: the trial of General Zod (Terence Stamp) and his henchmen Non (Jack O'Halloran) and Ursa (Sarah Douglas) and their imprisonment in the Phantom Zone. From there, we basically shift to a whole other version than the one we've seen. The destruction of Krypton pushes the Phantom Zone to run parallel to the craft carrying Kal-El, Last Son of Krypton. Bits of Superman play, particularly in Superman's dealing with the nuclear missile he is able to reach. THIS, and not a hydrogen bomb from the Eiffel Tower, is what releases the Kryptonian Trio from the Phantom Zone. Once they are free, they first go to the Moon and then on to the planet Houston. Meanwhile, at the Daily Planet, Lois Lane (Margot Kidder) sees striking similarities between the photo of Superman and her co-worker Clark Kent (Christopher Reeve). She drops little hints to Clark and then literally drops herself, flinging herself out the window to prove he would save her. Even though he does, Clark/Superman does it in such a way that Lois is left with if not egg on her face, at least tomato. Daily Planet editor Perry White (Jackie Cooper) has given them an assignment of going to Niagara Falls to investigate honeymoon swindles. Unbeknown to anyone, the Krypton Trio is speeding towards Earth, and Lex Luthor (Gene Hackman) has not only escaped prison but has found the Fortress of Solitude, discovering both Superman's true identity (thanks to a little help from Marlon Brando's Jor-El) but also of the three criminals. Luthor decides they need an Earth contact. In Niagara Falls Lois tricks Clark to reveal his identity, and with that they go off to the North Pole and share a night of love. However, Kal-El asks his father if he is to remain unloved. Despite the father's warning that if he chooses one human over humanity itself, he must relinquish his powers, Superman opts for love. With that, he gives up his powers. It could not have come at a worse time, since by now General Zod has conquered the Earth. It's now that Luthor goes to them and offers them the son of Jor-El. They will seek him out, but he is technically nowhere to be found. In a desperate effort to do something Clark goes back to the Fortress of Solitude, and here Jor-El, having anticipated that Kal-El might have regretted his decision, fulfills the prophesy that "the father becomes the son, the son becomes the father." Superman finally appears just in time to save the Daily Planet staff and to fight the Kryptonians and their Quisling Luthor. However, the battle is inconclusive and Superman flies off. Luthor directs them to the Fortress and here as before, Superman outwits the evil ones. However, Lois, still aware of Superman's double identity, promises to keep his secret, even if it means they will never be together. Here is one of the few things I'll quibble with SII2. We can see why in Superman he changed the course of history: he was desperate to save Lois from death itself, showing that his love for her was so great he violated the edict against interfere with human history. In Superman II, he did the same thing, and somehow using the same trick twice didn't work. Of course, this criticism is tempered with the knowledge that given the circumstances, Donner and creative consultant Tom Mankiewicz at this point had one of two options: go for that ending or use the Lester ending of Superman restoring the White House. If they had gone for that, they might have had to use the Magical Kiss to erase Lois' memory. It was not an enviable position and I think Donner and Company did the best they could under strange circumstances. There were other things I didn't care for in this version. Even if it was part of the original vision, having Beatty's Otis be so fat that he brings down the balloon did not strike me funny then or now. Also, the scene of going back to the dinner and use his new super-strength to take care of his enemy was not that funny and it still made him a bit petty (though not as much as before). However, minus that I think the Donner restoration is a vast improvement over the Lester version of Superman II. The best decision that Donner made was that he stripped away a lot of the more outlandish and ludicrous moments of Lester's Superman II. The film was less jokey, less ridiculous. For example, a lot of the 'comedy' with Non's laser vision and their encounter with the Sheriff and in East Houston, Idaho was stripped off, making SII2 a stronger, sharper film than what we were given. It becomes a less meandering and tighter story. Of particular note is the battle between Zod & Company versus Superman. In the Lester version, it was filled with a lot of sight gags that weren't funny. In the Donner version, it was more focused on the action, which returned the more serious nature of the first film to the second. Also, the situations changed to where things made more sense. The Lester version has a whole opening sequence on the Eiffel Tower, while the Donner version ties directly the events of Superman I with Superman II. We also have Lois making her discovery more logical. We see her working it out instead of almost just stumbling into it. Even how she attempts to cajole Clark's secret is well-crafted, and we still have moments of comedy, but with SII2 we don't have comedy just for comedy's sake. Instead, they flow naturally out of the situations. Curiously, the scene where Lois tricks Clark into unmasking himself was really one of those 'screen tests' we were warned about. However, it's a credit to both Kidder and Reeve as well as Donner that it doesn't look strictly like a screen test. It actually looks like it was made for at least the story. Granted the set may not be the most convincing but on the whole by this time the story is so well put-together that we see how it all fits into the story. This is what makes Superman II: The Richard Donner Cut a much better film than Superman II: The Richard Lester Version. It's more serious (without totally skipping out on the humor: Valerie Perrine's Miss Teschmacher still gives some funny moments when she and Lex are in the Fortress of Solitude, as well as a funny bit where Zod and Company briefly mistake JIMMY for Kal-El) and Hackman is actually better here than in the official version (one of the most remarkable things in the film). In Superman II he seemed to veer off into almost camp, but in SII2 his megalomania, while still comic, was not as silly. Case in point when Luthor betrays Superman's 'plan' to Zod. In the released version there was an almost comically apologetic manner to Luthor and an angry Superman. In the restored version, Luthor is still comic but more one of desperation to talk his way out of something and Superman is less angry and more almost amused at his archnemesis' efforts to get out of this. One of the best decisions was to keep Brando rather than stay with Susannah York's Lara. York was a great actress, but her inclusion in the official version seemed to be almost a substitute for something else, and an odd one since Superman didn't have much if any communication with her in the first film. Here, Brando's appearance makes more sense (as does the way Superman's powers are restored...maybe not the best way, but at least a more logical manner than having Lois just leave a crystal lying around). Finally, on one point we have a slight change in editing that makes a huge difference and makes other things in the future make sense. In the Donner version, unlike the Lester version, Lois sleeps with Superman prior to the surrendering of powers. This change in timing of when our lovers consummate their passion (begging the question, was this when Superman lost his virginity) is a small one. They still end up in bed together, but by placing it BEFORE he enters the chamber as opposed to AFTER we basically get a whole new storyline (and possibilities for others). It truly is amazing to see how simple editing decisions can alter a whole film. The best example I can give is when Zod & Crew come to East Houston, Idaho. The scene with the Sheriff in the Lester version is played for lots of laughs, and the entire battle there had forced and failed humor. In the Donner version, by trimming the interplay between the Sheriff and Deputy, dumping a lot of the citizen's interaction with the Kryptonians, and focusing more on the battle than on sight gags, it is a different experience. Again, I can't emphasize enough how much different SII2 is to Superman II. We get whole new scenes (the battle between Superman and the Kryptonians is less silly and a bit more exciting), a more focused story where sight gags are almost all dumped (thus making the comedy in the film more natural and if not flat-out funny more realistic) and one which is richer and deeper than the version that was released. Curiously, watching Superman II: The Donner Version (or SII2) is almost like watching a whole new film. It reminds me of the difference between the original and restored versions of Touch of Evil, another film that was taken out of the director's hands, finished by others, and left a shambles only to be restored to as close to the director's vision as possible. Neither film will ever be exactly what either Orson Welles or Richard Donner wanted, but both ended up being extraordinary films that despite their flaws, are better than what was first presented. My recommendation would be to skip Superman II altogether and instead watch Superman II: The Richard Donner Cut after watching Superman. It's not perfect, but it's as close to what the sequel to the greatest comic book film ever made could have and should have been.